There is good counsel and there is bad counsel. You can receive good advice and you can also receive bad advice. Over the years, psychologists and therapists have developed hundreds of counseling methodologies that differ so much in theory and philosophy that they end up just canceling one another out. The world of psychotherapy is such a confusing place because the whole system has no solid foundation. There is no solid base of truth on which to determine how to treat the human condition. Some of the therapies are laughable–quite literally, laughable. For instance, in recent times psychologists claim to have discovered that the best cure for stress and anxiety is laughter. In fact, they have developed laughter therapy exercises that are practiced in group sessions. This is how a laughter therapy session goes, according to a recent article on laughter therapy . . . Step 1: The session starts with clapping of hands in a rhythm to activate acupuncture points. Eye-contact is maintained throughout. Step 2: Deep-breathing exercises are recommended during this phase. It helps lighten the mood and relax your lungs. These exercises help increase focus on day-to-day activities. Step 3: Hearty laughter–spread the arms up, pointed to the sky, with head tilted a little back or with chin raised laugh heartily. Direct your laughter to come straight from your heart. Arms can be brought down as needed. Step 4: Imitation laughter–imitate someone else’s voice you think is funny, such as a celebrity. Step 5: Embarrassing scenario–recall an embarrassing incident and retell it, laughing at the end or throughout hysterically out of embarrassment or nervousness. Step 6: Dyslexic laughter–swing both hands gently from side to side chanting, “ho ho, ha ha ha,” engaging both left and right brains. Step 7: Silent laughter. Nasal laughing. Laugh only through your nose. Step 8: Celebration laughter–share any tiny incident that is worth celebrating with the group and start laughing in enjoyment. Step 9: Silly laughter–helps us identify and confront our personal limitations and uneasiness in acting and appearing silly. Act like you did as a child and observe whether it is enjoyable and comfortable for you. Explore the absurd, the ridiculous and the unbelievable. Step 10: Swinging laughter–this has a lot of playfulness. All the group members move outwards by two meters to widen the circle. On instruction from the anchorperson, people move forward by making a prolonged sound of “Ae Ae Aeeeee,” simultaneously raising the hands and all burst into laughter while meeting in the center and waving their hands. After the bout of laughter, they move back to their original position. The second time they move forward by saying “Oh- Oooooo” and burst into laughter. These are only a few among a lot of exercises available. You needn’t stick to these only but make your own ways to explode in laughter. Laugh your way through stressful situations. Like I said–there is good counsel and there is bad counsel. You can receive good advice and you can also receive really stupid advice. Today we want to talk about receiving wise counsel. If you’re visiting with us, we’ve been in a five-week series in the book of Proverbs and this is our last study in the book. Next week, we move on to a brief series of selected Psalms. Today I want to show you how the book of Proverbs is all about wise counsel. In fact, that’s how the book begins. So look at the first five verses of chapter 1 with me. This is the purpose statement for the entire book. “The proverbs of Solomon the son of David, king of Israel: 2 to know wisdom and instruction, to discern the sayings of understanding, 3 to receive instruction in wise behavior, righteousness, justice and equity; 4 to give prudence to the naive, to the youth knowledge and discretion. 5 A wise man will hear and increase in learning, and a man of understanding will acquire wise counsel (Proverbs 1:1 to 5). Again, this is the purpose statement for the book of Proverbs. These wise statements were originally assembled into one document in order to instruct God’s people in wisdom, instruction, and discretion so that God’s people would lead lives of prudence, sensibility, care, forethought, and make decisions based on the knowledge of God. That’s what we want to talk about today. As believers, we have both the ability and responsibility to live wisely. We are to do it, and we are able to do it, because we have access to God and to His Word. Now I know that you know this. I’m not telling you anything you don’t already know. But it’s one thing to know it–it’s another thing to practice it. It’s one thing to know you ought to live wisely. It’s another thing to actually live wisely. So my job this morning is to show you that Christians are to go after wisdom, to seek out wisdom from God, to ask for wisdom from other Christians, and to put that wisdom into practice every single day. So, here we go. Here’s number one. The first thing a Christian must do is . . . If you want to be wise, you need to go after wisdom. Proverbs 4:7 says, “The beginning of wisdom is: acquire wisdom; and with all your acquiring, get understanding.” In other words, if you want to be wise, you got to go get it! If you want wisdom and understanding in your life, you have to go pursue it. You have to make a choice, get off your seat, and go get wisdom. It’s not okay to be satisfied with your spiritual status quo. You need more wisdom. We all need more wisdom. I remember a guy telling me a few years back–he said, “I’m a simple guy, with a simple mind. I’m happy with where I’m at, so just leave me alone!” He was arguing because, we were setting up some discipleship in the church, and he didn’t believe he needed to grow. He didn’t believe he needed to learn. And he didn’t believe that God was someone to be studied or known better. Instead, he was a self-proclaimed fool who wanted to remain foolish. But the problem with that is that God commands us to “Acquire wisdom.” We can’t just sit around hoping to get zapped somehow and instantly be made wise. It’s not going to happen without any effort. Now some people ask if it’s really that important. Yes, it is. Look at Proverbs 8:10 to 11, “Take my instruction and not silver, and [take] knowledge rather than choicest gold. 11 For wisdom is better than jewels; and all desirable things cannot compare with [wisdom].” In other words, we ought to pursue wisdom more than we pursue jewels, silver, gold, money, and comfort, and security, and any worldly desire. Godly instruction and biblical counsel and the eternally important “knowledge of God” is way more critical than your paycheck or working overtime or building your portfolio and growing your client base or retirement fund. When you weigh up the priorities of your life, if acquiring God’s wisdom does not feature on your list, something is wrong. Jesus said, “Seek first His kingdom and His righteousness, and all these things will be added to you” (Matthew 6:33). You don’t need to worry about silver or gold or jewels, because godly, kingdom-minded wisdom trumps all of that. Look at Proverbs 12:1, “Whoever loves discipline loves knowledge, but he who hates reproof is stupid.” Gaining wisdom sometimes means you’ll be corrected. Sometimes it means you’ll need to change your mind. You’ll need to admit that your thinking was wrong, and you need to rectify that. See, fools don’t ask for help because they think they can do life on their own. Fools avoid hard conversations. Fools want to stay anonymous. Fools want to be left alone–why? Because they are arrogant and they think they’re right. On the other hand, wise Christians actually invite others to comment on their choices. They actually ask others to give input. This is a mindset we try to foster in the Training Center. The last thing you want to do in TC is try to prove to everyone what you already know. Instead, we all come saying we still have much to learn. We open ourselves up to the scrutiny of others. We invite examination. We aim for transparency and honest personal reflection on areas where we need to grow. That’s how you go after wisdom. Listen to Proverbs 13:10, “Through insolence comes nothing but strife, but wisdom is with those who receive counsel.” That word “insolence” in verse 10–that word refers to “presumptuous pride.” This is the person who presumes that they alone have the answers. And when this person goes about life independent of others who could help them, all they run into is strife, trouble, and problems. This is the person who receives good sound advice from people who know God’s Word and have been walking with Christ for years, and when he hears it, he argues with it. Maybe he argues out loud in a rebellious way, telling those people that they’re dead wrong. Or maybe he is internally rebellious–he pretends to listen, but inwardly he is reeling with arguments why he’s right and they’re wrong. Over time you can see these people move further and further away from fellowship with Christians. They distance themselves from believers because they have no desire for understanding. All they want to do is what they want to do. It’s not a one-off thing. The person who seeks wise counsel seeks it always. Not just once or twice in the midst of a trial, but this person is characterized as one who is always asking for counsel from those who’ve been there before. That’s how the rest of your days are blessed. Listen, obtaining counsel is a requirement for Christians. It’s not optional. This is not a helpful hint. Acquiring wisdom is commanded by God. This is not about the counseling ministry getting more counseling cases. That’s not the point. The point is–God says, “Acquire wisdom!” And in order for you to obey that command, you’ve got to make a choice. It’s a decision that has to be made. It’s a commitment that has to be pursued. It’s a goal to set your sights on. I met with a gentleman a few weeks ago–a Christian man in his 70s. He was asking for some counsel and we talked over a number of meetings. And at the end he told me what a relief it was in his own heart because he’d been trying to do it on his own, and when he got to the point of humbling himself, reaching out for help, acknowledging that his own thinking and experience was insufficient, and actually depending upon God’s Word to speak into his life via a Christian brother, he was overjoyed that finally he knows what to do and is committed to do it. He was so glad he asked for help. Get wise counsel, folks. Acquire wisdom. It’s a command to be obeyed. It’s an action to go after. Now the key is, of course, that you got to go to the right source in order to receive wisdom—and that leads us to our second point, which is . . .
We need to go to God for wisdom, because He is the one who grants it. There’s nowhere else to go. Experience doesn’t provide wisdom. Age doesn’t provide wisdom. Education doesn’t provide wisdom. Brainpower doesn’t provide wisdom. Street smarts does not provide wisdom. God is the only source of wisdom. Listen, if you’ve got problems, self-help books are not going to help you. Oprah and Dr. Phil are not going to help you. If you’ve got problems, a therapist is not going to help you. Psychologists who base their whole approach on evolution and survival of the fittest and sexual fulfillment and repressed memories and building up your ego and self-love and all manner of secular anti-God theories are not going to help you. God is the one who gives wisdom. All of these other approaches are an attempt to avoid God. We need to draw near to God. So that means if we want to be wise, we are going to saturate ourselves with the words of God. We are going to overwhelm our senses with God’s truth, God’s will, God’s way, God’s commands, God’s mind as it’s revealed in God’s Word. People are fumbling around trying to be wise and they fail to go to the only source of wisdom–God, as He is revealed in the Bible. It’s like being thirsty in a desert and walking away from the oasis. The source of nourishment is right there, but they’re walking in the other direction. It makes no sense–go to God. Go to His living and abiding Word. It’s powerful. It’s inerrant. It’s sufficient. It covers everything you need to know for life and godliness (2 Peter 1:3). It’s all you’ll ever need. That means if you’re looking for wisdom, you don’t just go to God, but you go to Him with a sense of fear, trembling, humility, brokenness, self-effacement, meekness, respect, and worship. There’s a heart attitude that’s needed. Never read your Bible with a proud, arrogant heart. Never read your Bible with unconfessed sin. But rather, humble yourself before God. Fear God as you go to His Word to acquire wisdom. JP taught on this two weeks ago. If you didn’t hear it, you can get the CD on the patio or listen online. We need to recover a fear of the Lord, so that when we read His Word, we listen to Him with reverence and trembling. That’s the attitude God blesses. That is the attitude that opens up the way to godly wisdom. You can do it when you listen to the preaching of God’s Word. You can do it in your own personal Bible study. You can do it when you attend a Bible study group. The setting is not the issue. The issue is, wise counsel comes from God alone. But it only comes to those who bow their knee in fear and worship before Him. Now sometimes we need help to find God. Sometimes we need help to find God’s Word, God’s will, God’s way, God’s mind on a particular problem. That takes us to our next point . . . In other words, don’t get counsel from unbelievers. Don’t get advice from people who hate God. Don’t get counsel from people who don’t know God or His Word. You want to go to people who have walked with Christ for years, people who have studied God’s Word for years, people who won’t ask you to listen to them, but rather will point you to exactly the right place in the Scriptures. You got to be careful who you listen to. You got to pick the right counselors. It’s got to be a Christian who has learned to live righteously. Someone with a good testimony. Someone with a track record of proven obedience. Someone whose life has already been transformed by God and there’s evidence of that fact. It can’t be someone who is mediocre–one foot in religion and one foot in the world. It can’t be someone who is lukewarm in His love for God. It can’t be a pretend Christian. It can’t be a fool who is messing around in the church and not taking obedience and sanctification seriously for themselves. That person will lead you astray. Proverbs 14:7 says, “Leave the presence of a fool, or you will not discern words of knowledge.” As soon as you recognize that the person you’re getting counsel from doesn’t know God’s Word and all they’re giving you is their own pearls of wisdom gleaned from their own personal experience, get out of there. Run! Leave their presence. Proverbs 13:20 says, “He who walks with wise men will be wise, but the companion of fools will suffer harm.” Choose your friends carefully. Choose Christian friends who scare you because you know that they know God better than you. Choose Christian friends who make you uncomfortable when you sin. Choose Christian friends who will drive you to be more like Christ and expect you to be a student of God. You need wise Christians around you who aren’t scared of telling you the truth. Look at this. Proverbs 27:6, “Faithful are the wounds of a friend, but deceitful are the kisses of an enemy.” Wise Christian friends may wound you with the truth, but at least their wounds are faithful to God, faithful to the truth of God, faithful to the ways of God. Their wounds, their corrections, their confrontations, their challenges may hurt you at times but at least they will yield godly results. John Piper says, “We need friends who are willing to risk wounding our ego in the moment for the long-term good of our souls.” I remember twenty years ago, when I was in seminary, I was preaching a sermon for Alex Montoya. He was my preaching-lab prof that semester. When I got done preaching for him, he reached over with a piece of paper in his hand. I looked at it, expecting to read helpful pointers and encouraging remarks, but instead across the sheet he had written with large letters: “This sermon was useless!” It kind of hurt my feelings. But boy am I thankful that someone had the guts to tell me the truth. It was useless. I needed to hear that. Let me tell you, the last thing you want to do is run to the sweet embrace of compromisers. Don’t look for the kisses of a person who will lie to your face (or beat around the bush) simply to keep your friendship. The person who refuses to tell you the truth is your enemy–they’re not helping you. Actually, they love themselves more than they love you. They want to keep things easy and comfortable more than actually deal with God in your life. So get wise counsel from wise Christians who fear God more than they fear you! Hang out with Christians who love God and love the truth more than they love you! These are the people who will lead you to godly wisdom. Alright, we need to 1) get wise counsel, 2) get wise counsel from God, and 3) we need to get wise counsel from wise Christians. And here comes the warning–we need to . . . Yes, there are terrible consequences for someone who refuses to follow these instructions. Look at this. Proverbs 13:20 says, “He who walks with wise men will be wise, but the companion of fools will suffer harm.” If you reject the command to get wise counsel from God and instead hang out with fools who hate God and despise His Word, then you will know nothing but injury. The result to you will be harm, damage, destruction, hurt, and devastation. In Proverbs 10:8 it says, “The wise of heart will receive commands, but a babbling fool will be ruined.” And verse 14, “Wise men store up knowledge, but with the mouth of the foolish, ruin is at hand.” Oh please listen to the warnings here. Listening to secular counsel will kill you. And listening to no godly counsel will also kill you too! This was one of the saddest things to me. I had met this guy in a coffee shop in Menifee. I could tell he was looking at me for quite a while. Finally he spoke up. He’d noticed my wedding ring. He asked me how long I’d been married. I told him 26 years. He said, “Well, you must have done something right. You must have learned a few things in 26 years, so can you help me please, because my wife and I have just split up?” It was kind of out-of-the-blue. This doesn’t normally happen. Anyway, I got talking to him. He told me his story–the problems in his marriage, the distrust, the bitterness, the lack of love, etc. I told him I was a pastor and I do biblical counseling. I said, “You got to understand, I don’t have any guidance for you at all, but I know who does and I can guide you to Him. I can guide you to the God of the universe who has revealed Himself in the Bible and has provided for us a way to live a life to His glory and for our good. I asked him if he wanted that, and he said, “Yes.” But as it turned out, that’s not what he wanted at all. I asked him to read Scripture. He said yes, but wouldn’t do it. I asked him to attend church. He said, “Okay, I’ll be there,” but he never came. I asked him to listen to sermons that spoke to his situation. He said he would, but never did. And then I get this text message telling me he’s done. When someone says to you, “All I want is your personal advice. Please don’t teach me the Bible. Don’t give me counsel from God–I’d rather just hear from your experience,” then you know from Proverbs 10:17, that person is going astray. And if they keep going in that direction, their end will be ruin. And not just that, but look at Proverbs 28:9, “He who turns away his ear from listening to the law, even his prayer is an abomination.” The consequence of rejecting the counsel of God is that God won’t listen to your prayers anymore. They’re an abomination to Him. If you want God to listen to your prayers, if you want to have a line of direct communication with God, you got to be a believer who diligently pursues God’s truth, God’s will, God’s way, God’s commands, God’s mind as it’s revealed in God’s Word. Then He will listen to you. So yes–there are terrible consequences for the person who does not seek wise counsel. Last, and this is where we will end. We must . . .
For this, I’m taking you to the New Testament. 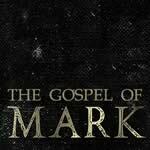 I want to go to the Gospel of Matthew. Solomon, the author of Proverbs in the Old Testament, was a Jew writing to Jews. In the same way, Matthew in the New Testament, was also a Jew writing to Jews, recording the words of Jesus, a Jew, who was preaching to Jews, in Matthew 7:24 to 27. So there are a lot of parallels between the two books. Look at this with me now, because it completes the picture for us this morning. In fact, this is the most important thing we’ll cover. At the end of His Sermon on the Mount, Jesus said . . . I remember as a kid in Sunday School, we sang a song about this story, and I got so hung up on the picture of a house falling over in the middle of a storm, that the point of the story was lost on me. The point of the story is this–foolish people hear Jesus’ words, but don’t apply them to their lives. They make no changes. They make no purposeful application. They make zero effort to put His words into practice. That’s the height of foolishness. So to a Jew, the most foolish person in the world is someone who knows what to do, but doesn’t do it. On the other hand, the wisest person in the world is the person who knows what to do and actually does it. That’s what Jesus is saying here. Wise people hear His wise words and put them into wise practice. That’s wisdom. Listening to sermon after sermon and reading the Bible every day and attending CGs and Bible studies does not make a person wise. Because wisdom is more than just education–wisdom is more than just knowing stuff. You can sit in church for years and learn a lot and still be a fool. Rob Gergins is coaching high school baseball again this year and he was telling me about a player he has on his team–a young guy, the best hitter on the team actually, whose habit was to always swing at the first pitch. Whenever he came to the plate, he’d swing every time on the first pitch and almost always hit a fly ball up for an easy catch. Rob went to this guy, who had a lot of potential, and asked him to be more patient, show some discipline, and wait for the right pitch. But this guy refused to listen. So after some more easy outs, Rob had to replace him with another player who was willing to follow his coaching advice. The point is this–just hearing the coach’s advice isn’t enough. That information can be in your head, but you got to follow through with real application if you want to stay on the team. Jesus says, “If you hear my words and don’t practice them, you’re a fool whose life is destined for a great fall. But if you hear my words and do practice them, then you’re wise.” For your notes, where it asks, “What is wisdom?” the answer is, “Wisdom is putting into practice the things you know God wants you to do.” That’s wisdom. And foolishness is the opposite of that. So be wise. You’ve been around the church a long time. You’ve learned some things but you’re not wise until you put it into practice. There’s a sad reality in this passage. Jesus was just finishing the Sermon on the Mount and He makes a call to application. As He wraps up, He says if you don’t put it into practice you’re a fool. But look at the response of the crowd where Matthew describes it in verse 28, “When Jesus had finished these words, the crowds were amazed at His teaching; 29 for He was teaching them as one having authority, and not as their scribes” (Matthew 7:28–29). I used to read those words and be encouraged, but I’m not anymore. They were amazed because of His preaching style. They’d never heard anyone preach this way before. The scribes—they’d preach one way, but He came with authority. He came with confidence. He got their attention. But they didn’t walk away in confession and repentance and a desire to have their lives transformed. They liked the way He preached. You don’t want to come to church and be in that group who walks out and says, “I like that guy cuz when he preaches, he is so passionate. And I like that guy because he is so deep and he brings such a thoughtfulness to the Scriptures.” You don’t want to talk about the preaching style. Walk away determined to put the content into practice—that’s a wise response. You can listen to godly counsel your whole life, but it makes no difference whatsoever unless you’re putting it into practice. It’s when you apply godly counsel that you are considered to be wise. Knowing the right stuff doesn’t make you wise. Living it out does. Learning sound doctrine doesn’t make you wise. Applying it to daily living does. You want wisdom, go to God and ask Him—beg Him. Ask Him for it. Wait until He provides it. Go to His Word in prayer and fear and worship, bowing your knee to Him—and don’t be satisfied with head knowledge anymore. Desire to be transformed, real, not pretending. God wants to provide it. Let’s pray. Wisdom is the goal–to get wisdom is the command, to receive wisdom is our prayer. Let’s pray to that end now.